It's with mixed feelings that I gave my resignation at Vega on Friday. It is the best company I have ever worked for and I have never met so many amazing people that inspire me to eat better and train harder! As this journey comes to an end, my new journey with Vibes Fitness begins! 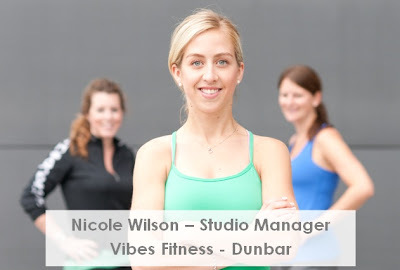 I am excited to announce that I will be the Studio Manager of the first Vibes Fitness in Vancouver on Dunbar Street. We are opening in 3 short weeks! I will be posting and sharing my journey as I take on this new role and hope to see you in the studio to go through a workout with me! A workout is only 15 minutes for those who "are too busy" to workout. I will make sure to challenge you during the time we have and meet your fitness goals. I will remain to be one of Vega's biggest fans and share all that I've learned and bring as much of the culture as I can into this new world! Well hello. Yes, it's been awhile since I've written and it's because I felt I didn't have anything "important" to write about but there are lots of cool things I've been doing and I was inspired to write! The reason I started this blog was to write about my experiences competing and I had a lot of amazing feedback and always had something to write about. When I decided not to compete, I drew a big BLANK! What should I write about? Should I try a new type of workout or a meal plan to spark some inspiration? The truth is I am passionate about writing and that is what I'm back to do. The summer is coming to an end and it's been pretty awesome. One thing I've wanted to do all summer I checked off my list yesterday was SUP'ing. For those of you that don't know SUP'ing stands for Standup Paddle Boarding! Auh-mazing! I highly recommend it. Its a great core/upper body/lower body workout. I've also started going to Kondi Callanetics. A high intensity interval/ TRX training/Callanetics workout. You've got to check it out, Kondi Callanetics. I should also add that I am doing a bike race in 2 weeks! My sister and I are going to do the Tour De Victoria which is 140 km's. 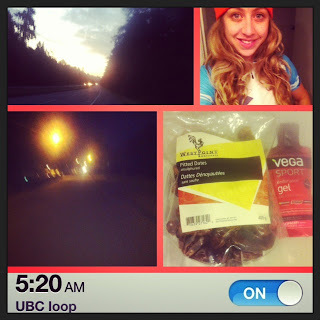 I am super excited and got up at 5:20 this morning to get a long ride in before work. For the first 45 minutes I was riding in the dark and it felt like the middle of the night. It definitely did not feel like a summers morning. My bike has some issues right now so I am getting Velofix to come visit me on Thursday to get a full tune up. It needs some serious TLC! My goal for the next few weeks is to get in 3 long rides, 3 Kondi classes and 2 gym sessions to prepare myself for this. I'm also going to make more of an effort to write because I love writing! Here is to an awesome week!